With the highest box office collection in India this year, Gully Boy, a Bollywood blockbuster, brings to light the emerging Hip-Hop culture in South Asia. The film has had an overwhelming response, not only in India but also all across the world, gathering positive reviews from audiences as well as critics. The film stars Ranveer Singh and Alia Bhatt in the lead roles and is directed by Zoya Akhtar. Rap and Hip-Hop are a relatively new phenomenon in India, and they have gained attention in the past decade. Roger David, popularly known as Bohemia or Raja, introduced rap in Bollywood with title tracks like Chandni Chowk to China, 8 x 10 Tasveer and Desi Boyz around 2011. With this, the Hip-Hop scene started growing in India with rappers and crews forming all across the country. Examples include 2 ShadeZ, Desi Beam, Mumbai’s Finest, Bombay Bassment, etc. Their emergence is largely credited to the popular artist Yo Yo Honey Singh. A native Punjabi, Honey Singh changed the idea of Hip-Hop and Rap in the Indian film industry. After several popular and top-grossing singles and film tracks, a new trend was established in Bollywood with many producers wanting rap artists for their song production. Some of Honey Singh’s hits include International Villager, High Heels, Brown Rang, and tracks from films the Cocktail and Mastan. Honey Singh has won several awards for his music and continues to be the largest contributor to the Hip-Hop genre in Bollywood. Indian Hip-Hop gained popularity in India’s largest suburban cities like Mumbai and Delhi, especially in the slum areas, creating big names like Divine, Naezy, Akash King and Emiway, who now have music videos with millions of views on YouTube. 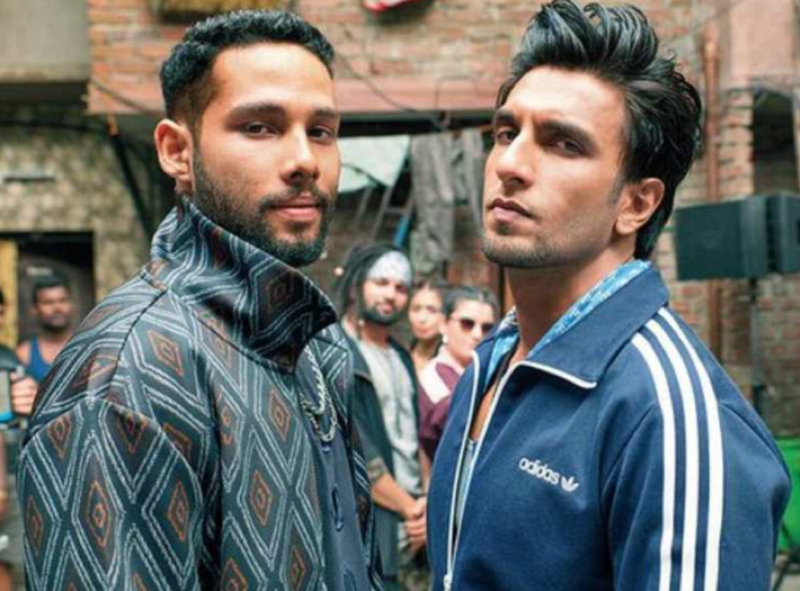 Gully Boy is based on the story of the two famous rappers, Naezy and Divine. Naved Shaikh, known as Naezy, comes from Mumbai’s largest slum, Dharavi. Inspired in his childhood by Sean Paul, he started recreating American rap in English. His videos quickly gained popularity because they were not the traditional kind of music people in slums would listen to. He later decided to rap in his own language, Hindi, writing about the daily lives of Mumbaikars and their struggles. His first music video, Aafat!, was created using his iPad and gained millions of views on YouTube. Vivian Fernandez, known as Divine, also comes from Mumbai. Inspired by 50 Cent in his childhood, he started rapping in Hindi with support from his close friends. He is part of the crew Mumbai’s Finest creating music that is authentic to his own life experiences. Naezy and Divine’s breakthrough came in 2015 with the hit song “Meri Gully Mein.” The song caught the attention of film director Zoya Akhtar and inspired her to make a movie about Mumbai rap scene. Gully Boy loosely portrays the lives and struggles of Naezy and Divine. Ranveer Singh plays the role of Murad Ahmed, an aspiring rap artist. He struggles trying to break through as a musician while facing financial difficulties, turmoil with family and a struggle to find acceptance. Alia Bhatt, who play the role of his long-time girlfriend, Safeena, supports him to achieve his goal. Siddhant Chaturvedi plays the role of MC Sher, a local rapper who discovers Murad’s talent and pushes him to pursue a career in music. Some of the popular songs from this film are “Meri Gully Mein” (recreated for the film), “Apna Time Aayega” and “Sher Aaya Sher.” The music was released under the label of Zee Music Company. Most of these rappers use social media to share their music with the world. YouTube is a popular platform for these emerging artists, and a lot of their music can be found on their YouTube channels. There has also been a negative response from some of the Hip-Hop followers with the recent commercialization of this music genre in India. Overall, with more than 2,000 rappers creating music in various Indian languages like Punjabi, Marathi, Bengali, Bhojpuri, Khasi, etc., Hip-Hip is perceived to have a positive future in India. This entry was posted in Culture by Mariah Schaefer. Bookmark the permalink.